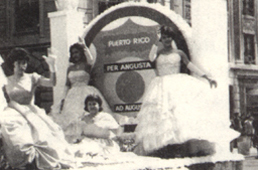 Originally, the Desfile Puertorriqueño, Inc., was born of the imperative necessity of translating Puerto Rican achievements into a visible demonstration of the strength of the Puerto Rican community, in order to organize and support our Latino counterparts. 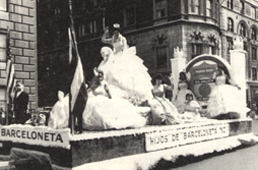 The first parade was held on Sunday, April 13, 1958, in Spanish Harlem “El Barrio”; subsequently, the organization found its new home along Fifth Avenue in New York City. 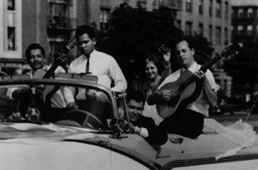 In 1995, the National Puerto Rican Day Parade, Inc., a 501 (c) (3) organization, was formed from its predecessor, the New York Puerto Rican Parade, when Dr. Ramón S. Vélez and the parade board envisioned a national concept for demonstrating the cultural pride of our community. Among the NPRDP founding members, Madelyn Lugo and Maria Román Dumén still remain active board members. This new organizational structure not only broadened the scale of the parade itself but enhanced its ability to promote cultural awareness, education, leadership and community engagement among Puerto Ricans. Annually, the NPRDP hosts over fifteen major events throughout the city including educational and scholarship receptions, music festivals, health walkathons, Miss Puerto Rico - Cultural Pageant, Sports Event “Juegos Boricuas”, and our “Golden Age Fiesta” for seniors just to name a few. 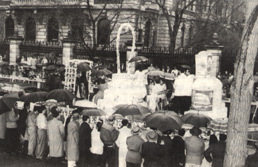 The parade marches along Fifth Avenue from 44th Street to 79th Street and has grown to become the largest demonstration of ethnic pride in the nation. The parade is a cultural icon and a permanent fixture of the Puerto Rican Diaspora. The NPRDP was established to create national awareness of Puerto Rican contributions. Our mission is to empower the Puerto Rican community through promoting economic development, education, social advancement and environmental awareness. We must emphasize the achievements made by thousands of Puerto Ricans in business, government, and industry to inspire our youth and instill a strong sense of self worth and pride in our community.